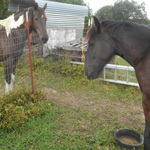 Beauty, brains and brawn! 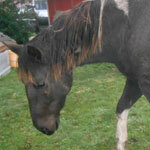 Skandal is the whole package, but are you good enough to match her? 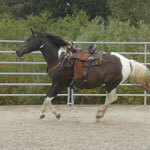 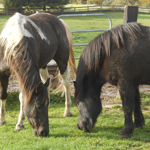 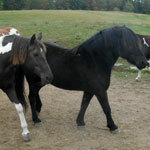 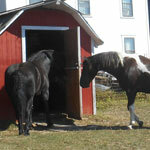 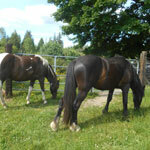 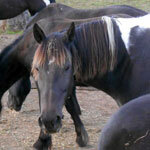 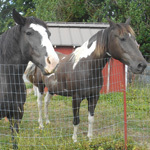 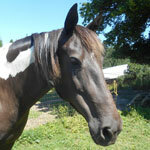 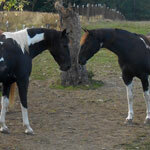 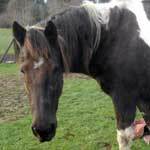 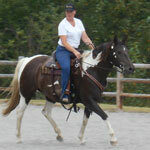 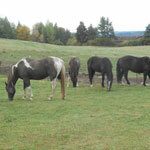 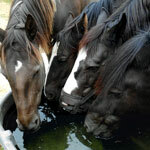 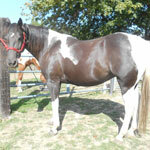 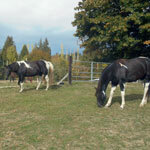 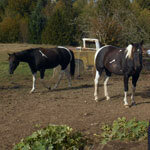 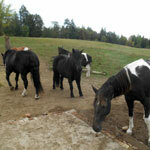 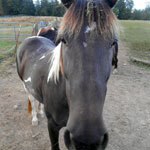 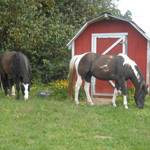 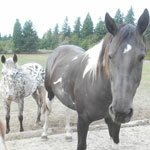 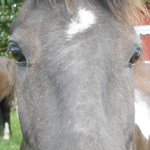 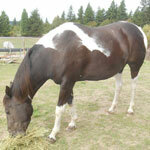 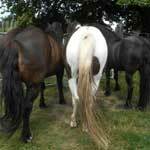 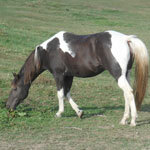 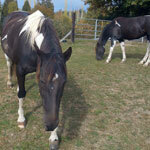 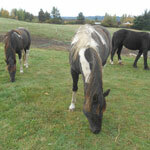 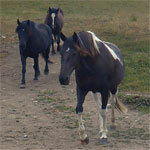 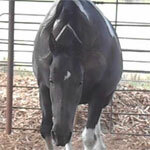 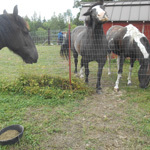 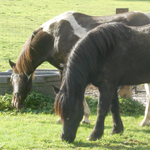 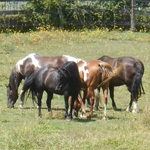 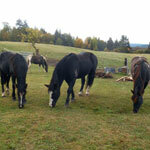 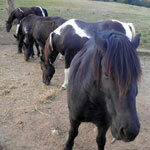 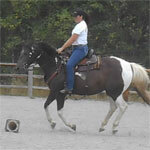 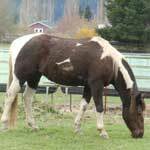 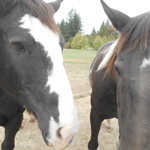 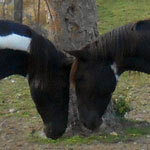 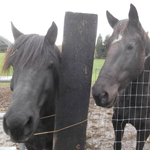 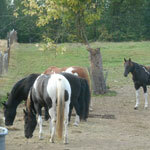 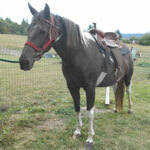 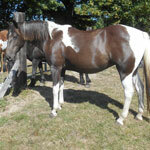 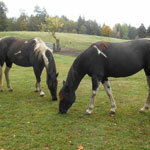 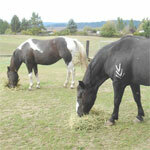 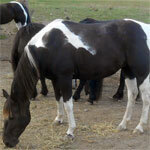 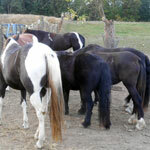 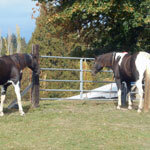 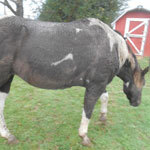 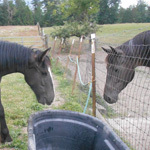 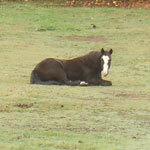 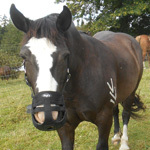 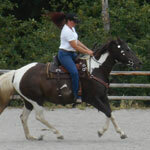 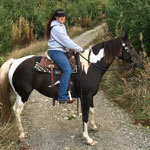 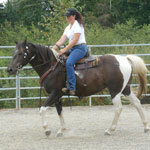 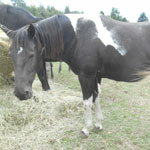 Skandal is an 11 year old black and white tobiano mare. 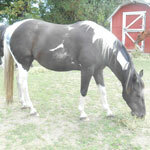 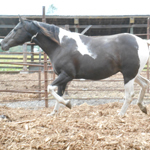 She is a registered Paint in the APHA and her name is Siouxs Painted Dream. 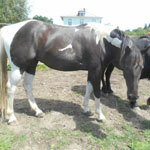 She stands about 15.2hh and has a very sturdy build. 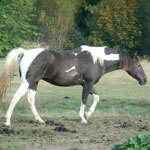 She is big, sound, healthy and courageous. 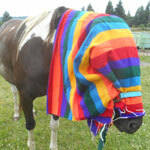 However, the most impressive thing about this horse is her mind. 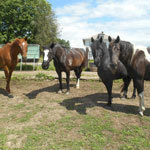 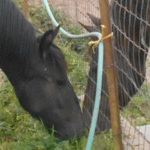 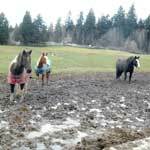 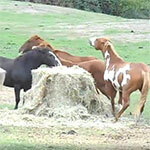 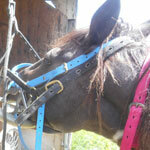 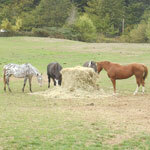 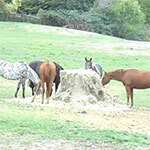 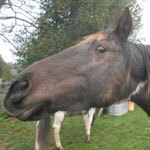 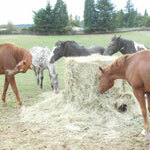 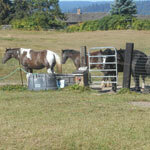 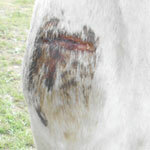 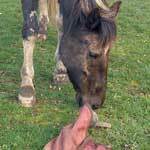 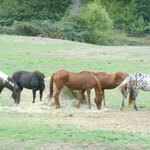 She is an extremely intelligent mare who thinks things through. 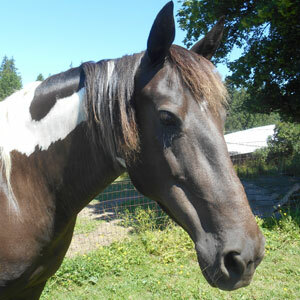 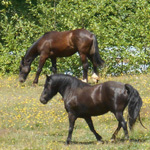 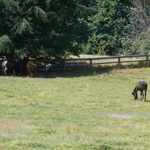 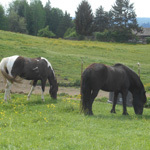 Skandal is an alpha mare (a good one) and she brings a great deal of peace and stability to her herd without causing drama. 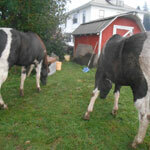 She has been an excellent asset to my herd and quite frankly I am not sure that I want her to leave. 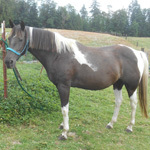 I have simply never had a better alpha mare and I did not realize what good management they could be. 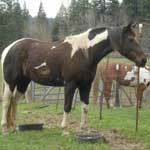 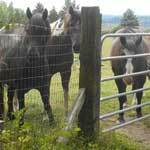 She is an easy keeper and has no known issues other than being slightly pigeon toed and needing shoes or boots if riding on rocky terrain. 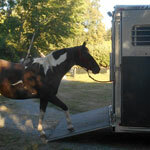 Skandal came home from a tune up with the trainer and is ready to go. 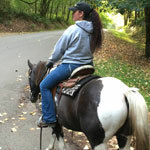 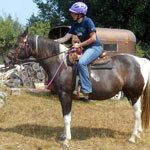 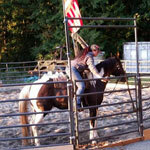 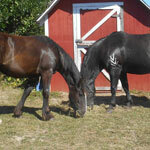 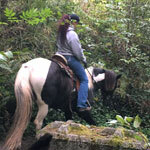 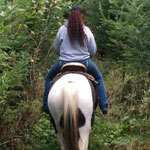 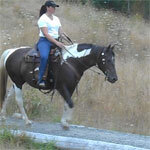 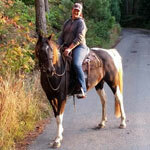 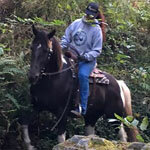 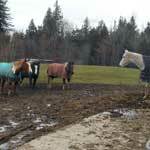 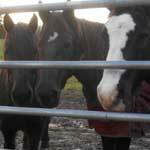 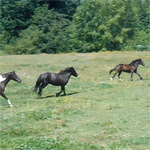 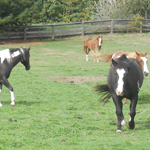 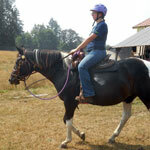 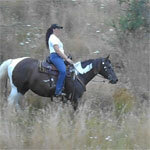 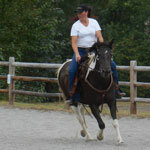 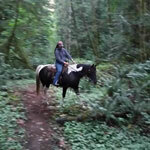 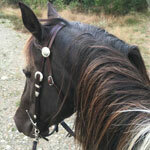 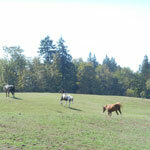 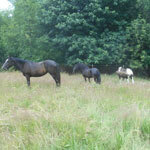 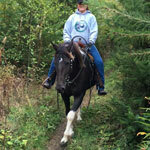 She is a bold and fearless trail horse, who is at home in the woods or arena. 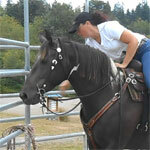 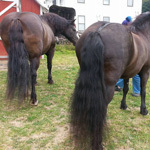 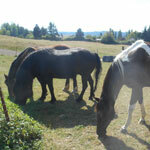 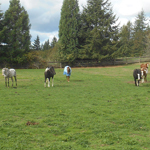 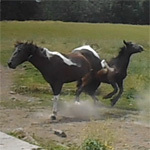 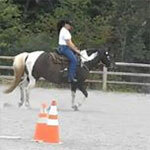 She is trained with natural horsemanship methods. 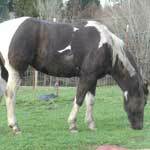 She leads, ties, backs, yields her quarters, stands quietly for the vet or farrier, loads easily in trailers and willingly accepts the bit. 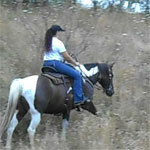 She is not herd bound and will ride off on her own without issue. 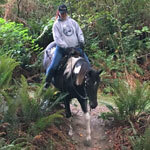 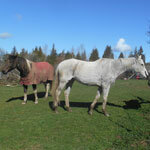 She will cross bridges, open gates, work in an arena or out on the trails. 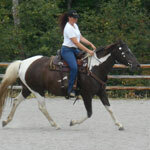 Skandal is a confident, fair, firm and self-assured alpha mare who requires her rider to be her equal. 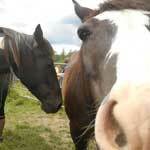 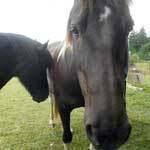 She does test her rider and she requires that you firmly but kindly correct her - she does not take well to bullying. 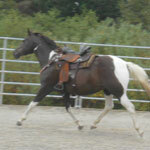 Earn this mare's trust and respect and she'll be the best friend you have ever had. 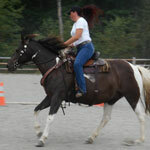 Once she knows that you know what you are doing, she will give you her all which, from a mare like her, is quite a lot. 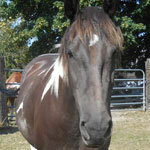 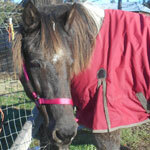 Skandal is up to date on her vet exams, vaccines (including West Nile), hoof trimming, worming, and dental float. 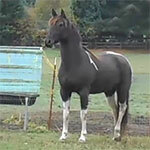 Skandal was a late comer to the September auction at the Enumclaw Sales Pavilion. 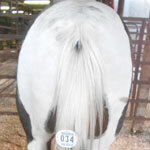 Coming in late meant that most folks didn't have a chance to see her or look her over prior to her going through the auction ring. 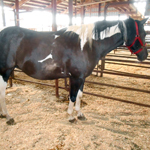 When she did go through the auction she got one small bid by a home and then the kill buyer was bidding on her for slaughter. 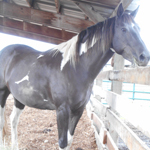 She is a good sized horse and at the time was extremely fat, so the kill buyer was interested, but I bid up and took her. 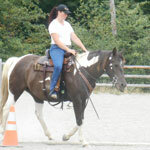 She came with a small stall card that said she had been ridden on the the trails in the past, but had not been worked with in 3 years. 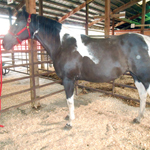 Her feet were long and twisted, she was obese, and she had a few fresh cuts on her.